I love Audrey for many reasons. I love that she was so down to earth and sometimes kept quiet and to herself. I love what a passionate person she was and how she always gave great thought to what she was about to say. 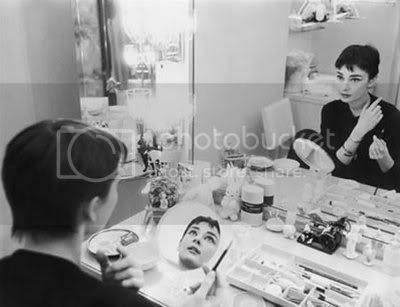 Sure Audrey had people around her helping create what became her "signature look" (heavy eyebrows, etc) and sure she wore fancy dresses and fancy jewelry. But she's the perfect example of being glamorous while still maintaining class, charm and dignity. 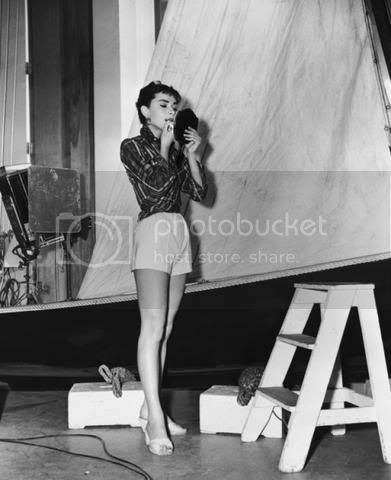 This is the main difference between Audrey and most Hollywood ladies of today. I say, It's OK to be a girly girl! She looks like Audrey Tatou in the second photo! I'm so glad you posted this! 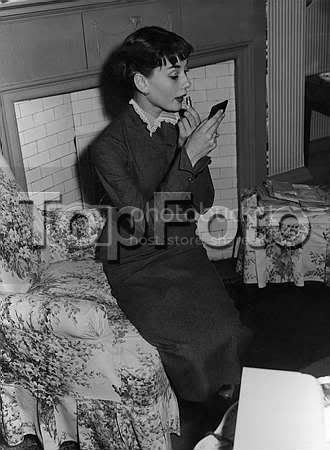 I can never get enough of Audrey. 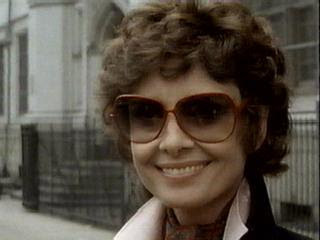 She was beautiful and so classy! 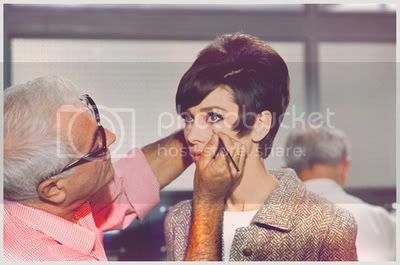 Audrey.....so pretty! so ellegant! so 50's!